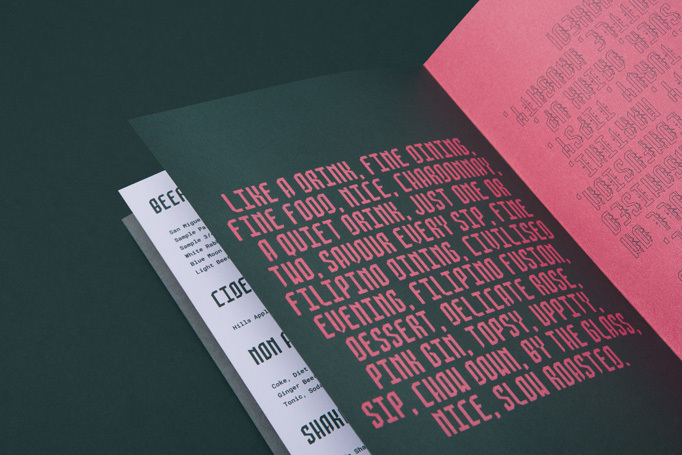 This establishment has a dual personality: fine dining and dive bar. 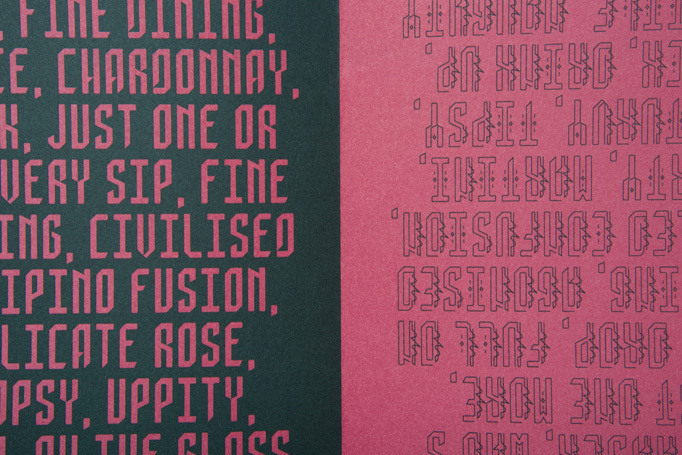 A contrast expressed through a custom font that’s a little crazy for the dining aspect and a whole lot of crazy for the drinking aspect. 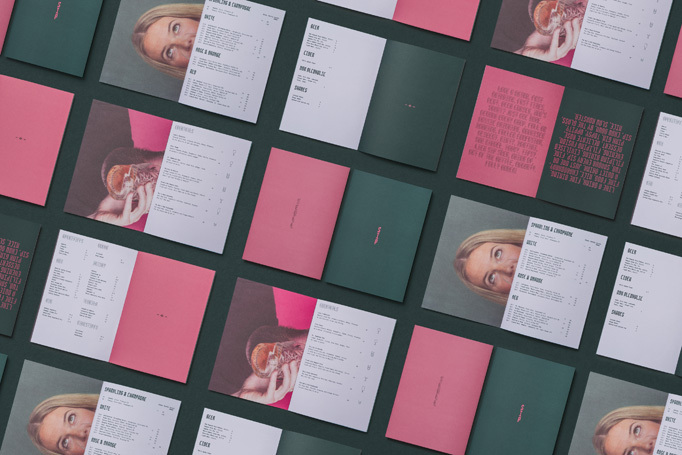 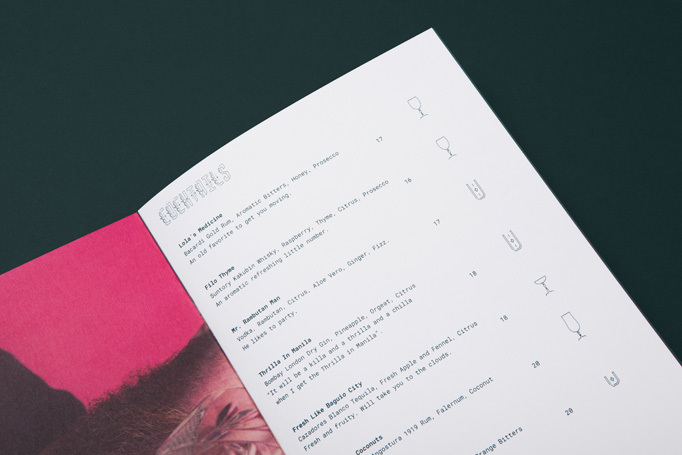 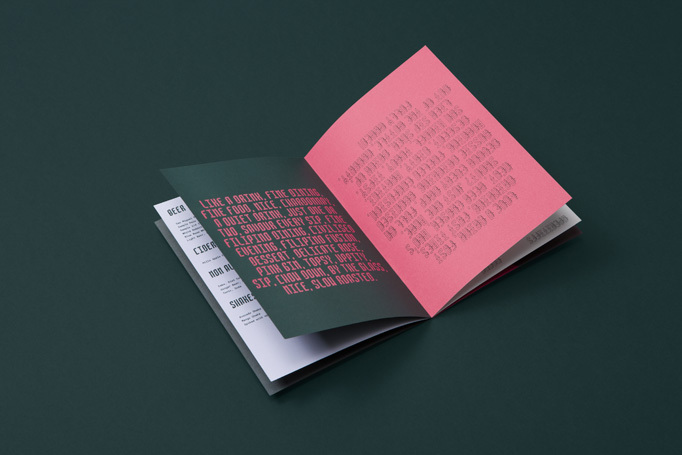 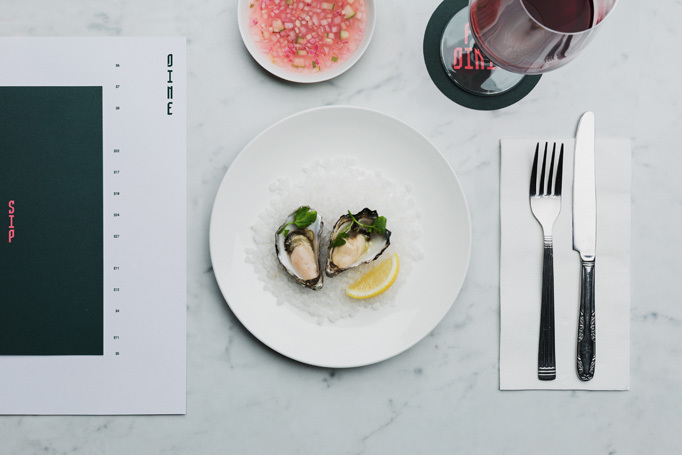 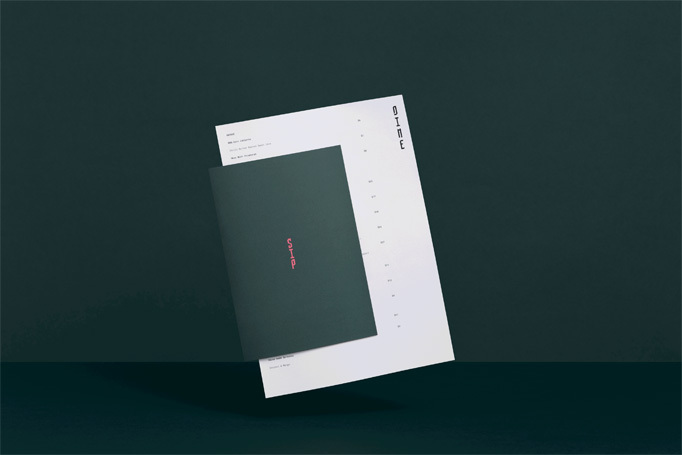 The spare, single-sheet food menu comes tucked into a booklet showcasing all the drinks, rendered in a suave palette of dark green and pink and some fun photos of customers imbibing.